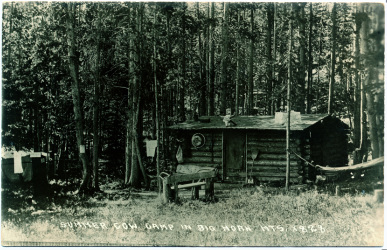 John and Bartha Moulton Homestead, Mormon Row, Grand Teton National Park. 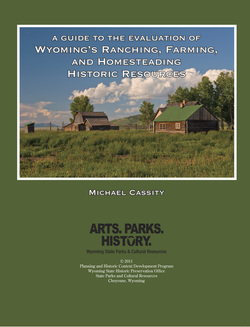 This project was undertaken for the Wyoming State Historic Preservation Office as a Historic Context Study to guide the evaluation of resources in the field associated with homesteading, ranching, and farming for their eligibility to the National Register of Historic Places. In fact, however, the project generated several products including a major study of the subject, a guide for evaluators, a discussion of management issues and opportunities, and a small book or booklet summarizing the research findings. Plus, one of the results was the preparation of a website that includes links to all the component parts. The website was prepared by Rebecca Cassity and Russ Anderson and I am grateful for their expertise and work in putting it together. The link below takes you to that website. 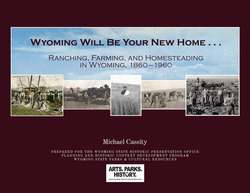 A major result of that work was the publication of the historic context study as a separate book, Wyoming Will Be Your New Home: Ranching, Farming, and Homesteading in Wyoming, 1860-1960, by the Wyoming State Historic Preservation Office. 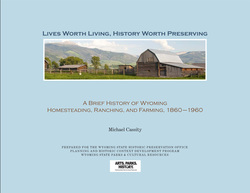 This book examines the transformation of Wyoming agriculture, and related rural social fabric, from its origins as a subsistence, relatively self-sufficient, organization of land use and production, and the land laws that encouraged that way of life, through the competition for the public domain, the mechanization of agriculture, and the ascendancy of market-oriented ranching and farming. It also examines issues of ethnicity, gender, and modernization. Of course, the varieties of land use, including cattle ranching, sheep herding, farming, and the general operations and their variations and economies, are also examined. This is not always a triumphal story, and the years following 1935 document an exodus from the countryside and the decline of small, family farm operations. 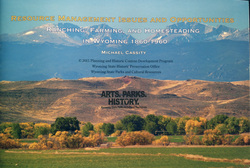 Be sure to check the Wyoming State Historic Preservation Office web page on Homesteading, Ranching, and Farming. You can find links to these same documents but also more, including a bibliography, maps, a timeline, and other links. The page (and its many links) on the website was prepared by Rebecca Cassity and Russ Anderson and I am grateful for their expertise and work in putting it together. The link below takes you to that website. Beaverslide hay stacker, Sublette County, Wyoming.